Articles about skincare can be subjective because everyone’s skin is different and reacts differently to specific products. I, like a lot of young people, have acne prone skin and have been putting a lot of effort into changing my skincare routine to prevent breakouts. 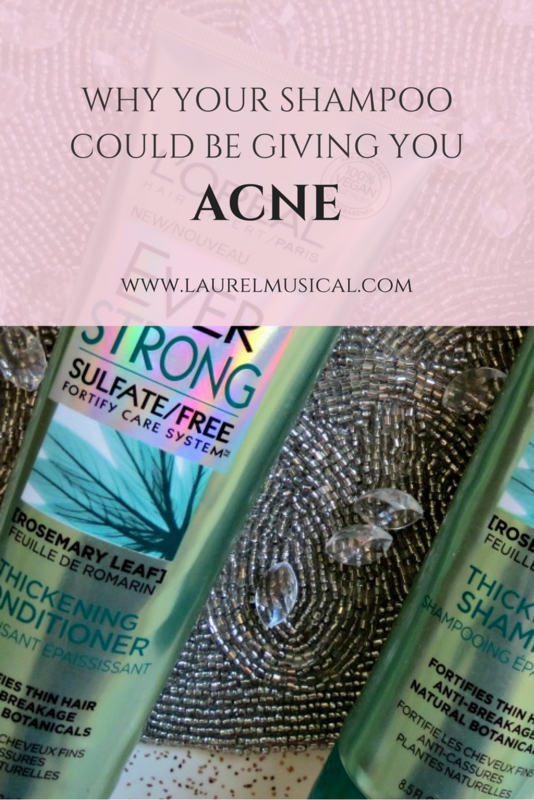 Now, I know that switching your shampoo and conditioner will not completely clear your skin but I do know that your hair constantly touches your face and if you could switch your products and see small results – Why wouldn’t you give it a try? The hormones in animal products, for example, dairy products, can cause cystic acne. The number one suggestion to people with cystic acne is to cut out dairy from their diet. This includes your shampoo and conditioner too – especially shampoos that advertise that they have yogurt in them to retain your hair’s moisture. I personally had no idea that shampoo could even contain gluten in it until I saw it advertised on my L’Oreal Paris shampoo bottle as being free of it. Now, this may be a marketing tactic to people with gluten allergies. But I do know that gluten is something you could also avoid eating to improve your acne. Sulfate has the ability to strip out all the oils, products, and dirt in your hair which is incredibly drying. If you are someone who notices that they get active acne breakouts when their skin is dry then you should look into a shampoo that is sulfate free. Using a sulfate free shampoo can also help prevent those painful scalp pimples that appear in and around your hairline. 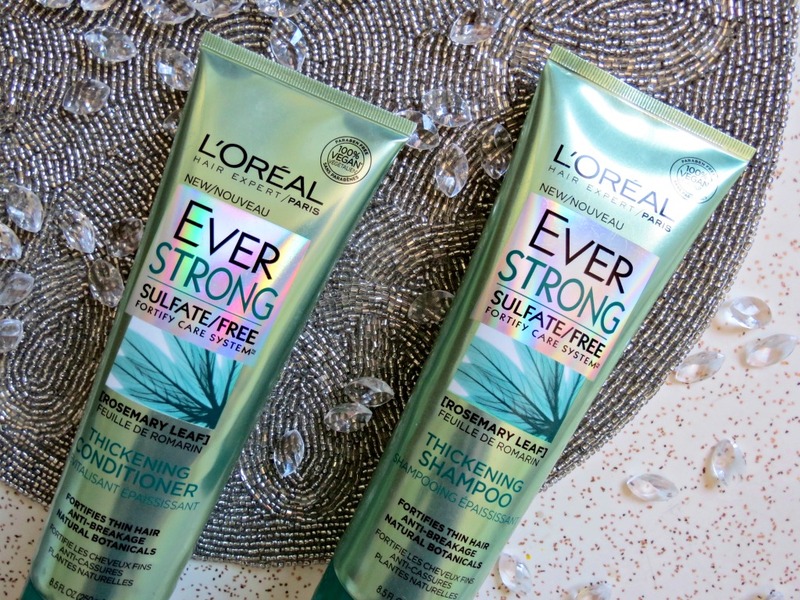 I’m not sponsored by L’Oreal Paris in this post but I read so many recommendations on forums about their Ever Pure shampoo line and it’s skincare benefits that I had to give it a try. 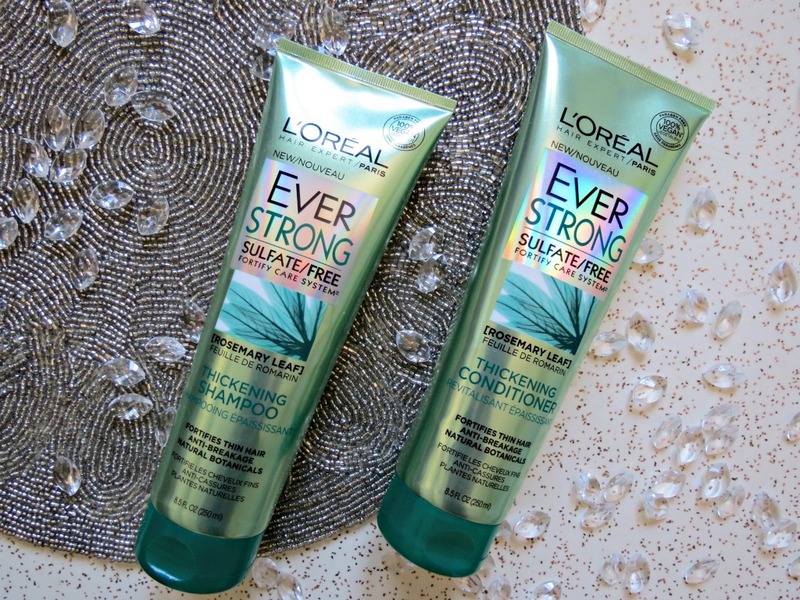 The L’Oreal Paris Ever Strong Thickening Shampoo and Conditioner is sulfate free, vegan, dye free, paraben free, and gluten free. I’ve noticed over the past two weeks that my hair is less oily and the acne breakouts that happen near my hairline and in my scalp are less frequent. If I can help anyone get a little closer to having clear skin, I would really recommend you to look at your shampoo’s ingredients. Do you use sulfate free shampoo? Whoa. I honestly had no idea that shampoo could cause acne!?!?! Now I feel like I have to share this post with everyone I know! So informative. Thank you so much Catherine for commenting and I am so glad you found it informative! I had no idea that shampoo could also cause acne till two months ago and I’m so happy that I’ve made the switch to a more natural one from L’Oreal.